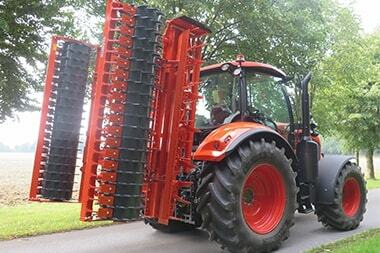 Meet the needs of large-scale harrowing. The Kubota foldable power harrow PH2000F with working widths from 4.0 to 5.0m completes the product range of Kubota power harrows and is designed to meet the needs of large-scale harrowing. 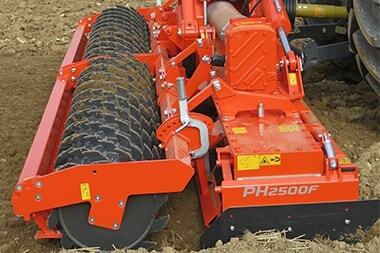 The Kubota PH2000F is based on an innovative trough design that does not require any lateral frame. This saves weight and gives the machine a clear design. The power harrow works with 4 rotors per metre of trough. 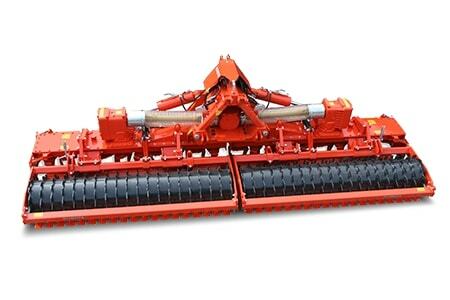 Optimum tillage performance and low power consumption is achieved by the closer inter-tine carrier distances (25cm). In addition the helical tines configuration combined with 95mm of rotor clearance allow perfect soil levelling and preparation.